When a state regulates batons, it isn't the type that cheerleaders carry. Retractable batons, like the police carry, are built to pack a punch, and become small enough to conceal in a deep pocket. Some jurisdictions prohibit possessing or selling batons, while others are less restrictive. Some states have laws that make it a crime to possess retractable batons. California, for example, lists batons in its "generally prohibited weapons" list in the penal code. 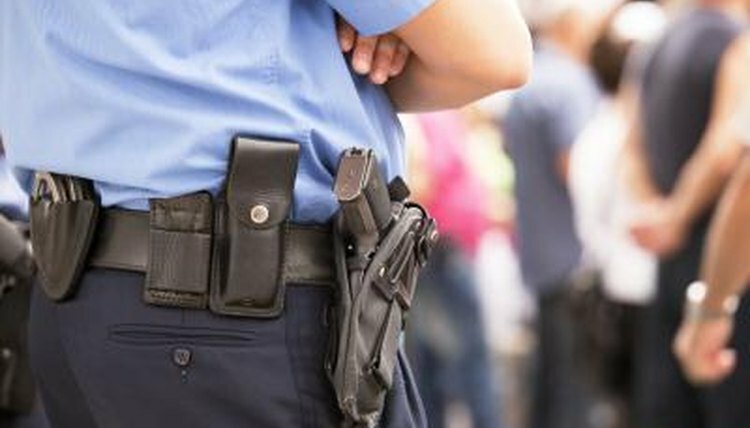 Unless you fit one of the exceptions, you can face either a misdemeanor or a felony charge if you are caught carrying a restricted weapon like a retractable baton. In some states, like Alabama, possession of a retractable baton is not in and of itself a crime. Instead, batons are included in the list of deadly weapons in the state's code -- and possession of a deadly weapon with intent to do bodily harm is a class C felony, as is possession on school grounds. In Texas, it is a crime to carry any kind of a club into an airport, polling place, school or court. In all states, police officers can carry retractable batons without incurring criminal penalties. Otherwise, each state has its own exceptions. For example, in California, an exception exists for those dealing in historical objects and antiquities, karate schools and forensic laboratory staff. In other states, security guards and bank guards are exceptions in penal codes. Spengler, Teo. "Retractable Baton Laws." , https://legalbeagle.com/6803738-retractable-baton-laws.html. Accessed 23 April 2019.